Are you dreaming of a Costa Rica vacation? With its world-renowned beaches, delicious cuisine, and pristine nature, Costa Rica is a must when it comes to travel destinations. If you’re traveling on a budget, however, you may feel that this lovely country is simply out of reach. This is especially the case if you’ve been browsing Costa Rica travel packages. Luckily, it is definitely possible to invest in a package and still keep your wallet happy. Read on for insight into saving on your next Costa Rica vacation! Before you jump in and purchase that tantalizing Costa Rica travel package, take some time to do your research. Begin by researching travel companies that can offer you the very best when it comes to vacations in Costa Rica. Ask family or friends for recommendations for travel companies. You can also browse online through review portals such as Yelp and Google Reviews. Look for travel companies that focus specifically on tropical destinations. Better yet, prioritize companies that focus solely on travel packages in Costa Rica itself. These companies will be the most likely to offer comprehensive package options that suit travelers of all budget sizes. More expensive travel packages often are so because they include higher-end accommodations and transportation. Browse for companies that offer a variety of accommodation options so that you can find a comfortable overall price. Choosing a cost-effective travel package takes time. Don’t make your decision in an afternoon. To ensure that you’re snagging the best deal possible, start browsing Costa Rica travel packages as soon as possible. If you can, start planning at least three or four months before your trip. If you can plan six or eight months prior, you’ll be even more likely to encounter low prices. This is especially important when it comes to booking flights, if you anticipate flying. The farther out you can book plane tickets, the less you’ll end up spending in the long run. Talking to a real human is essential when it comes to discovering low-cost travel packages to Costa Rica. Speak with a representative of one of the travel companies you’ve chosen to find the best deal possible. In many cases, representatives will have access to discounts and package options that aren’t on the company’s website. You’ll also be able to explain your situation fully to a representative and feel confident that you’ve explored all possible options. Many travel companies like Best of Costa Rica offer customized travel packages to their customers. These packages let you choose all the details so that you can have control over the final price. You’ll get to pick the dates you want, types of accommodation, and how much you want to spend. Customized Costa Rica travel packages give you the best chance to discover a package that won’t break the bank. If you go the customized route, be sure to research customization options on the travel agency’s website. But also reach out to a representative to customize your trip over the phone or in person. A lot of travelers assume that travel packages have a fixed price. They also don’t realize that it’s possible to discover discounts on packages for certain situations. Sometimes travel companies will offer promotions or discounts for certain types of travelers. They may offer discounted rates for families, children who are traveling, or veterans. The best way to discover discounts is to ask. Get on the phone with a representative and have a candid conversation about obtaining the price you need. It can be cheaper to travel to Costa Rica during off-seasons or for certain periods of time. If you can, be flexible with your intended travel dates. This way, you can be open to all options possible for cost-effective travel packages. The same applies when it comes to searching for airline ticket prices. If you can be flexible with dates, you’ll increase your odds of snagging a sweet deal. Of course, sometimes it can be tough planning a vacation with flexible travel dates. Many travelers have a tight window to work with when it comes to leaving the country. If this is the case, be sure to communicate this to the travel agency you’ve chosen to work with. The best agency will help you discover the package ideal for all of your needs–not simply your wallet’s. 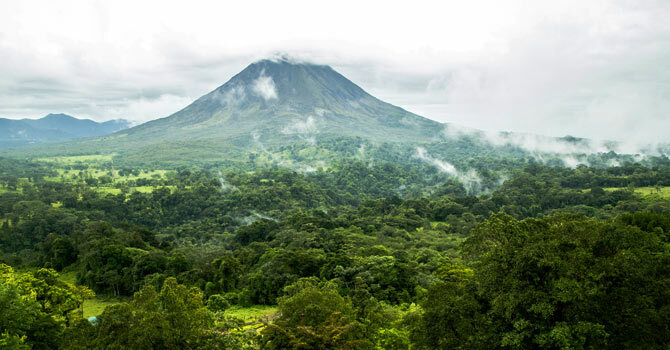 Lastly, it’s possible to continue the savings while you’re in Costa Rica. Once you’ve purchased your package, plan ahead to keep your wallet fat once you’ve arrived. If possible, arrive in Costa Rica with the country’s currency (colons) in hand. It is possible to pay for things in U.S. dollars, but oftentimes doing so involves a fee. You can exchange currency through your bank easily, or once you’ve arrived at the airport in Costa Rica. It’s possible to be economical with food choices, too, if your travel package doesn’t include food options. Eat at local places as much as possible to avoid higher prices charged at restaurants designed for tourists. When it comes to transportation, Costa Rica is also very walkable depending on the area you’re visiting. Opt for taking a taxi or walking to get around to save a few dollars. Costa Rica doesn’t have to be out of reach if you’re on a budget. It is definitely possible to find Costa Rica travel packages that fit within the scope of your wallet. It’s important to do your research wisely and take as much time as possible while planning. Speak with a travel agency representative if possible to ask about discounts and customize your own package. When in Costa Rica, travel wisely to save dollars while you’re there. At Best of Costa Rica, we pride ourselves in offering clients of all budgets the very best of this beautiful country. We can help you find the travel package that suits all of your needs today. Give us a call to start planning your vacation!